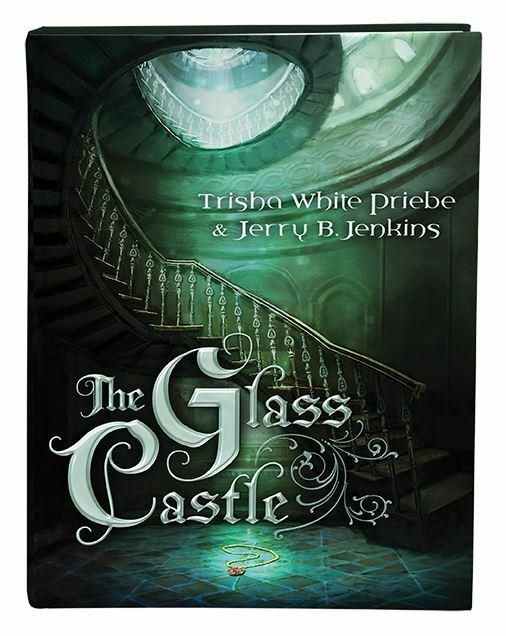 We were given a copy of The Glass Castle by Trisha White Priebe and Jerry B. Jenkins from Shiloh Run Press to review. The book is recommended for kids ages 10-14, and luckily, I have two of those!! It is the end of the year y’all, and I am super excited to have a review to do that I don’t have to write myself. That’s right- I assigned it to my 12 year old. You guys know Riley, right? He’s the cute one in the middle in the picture below. 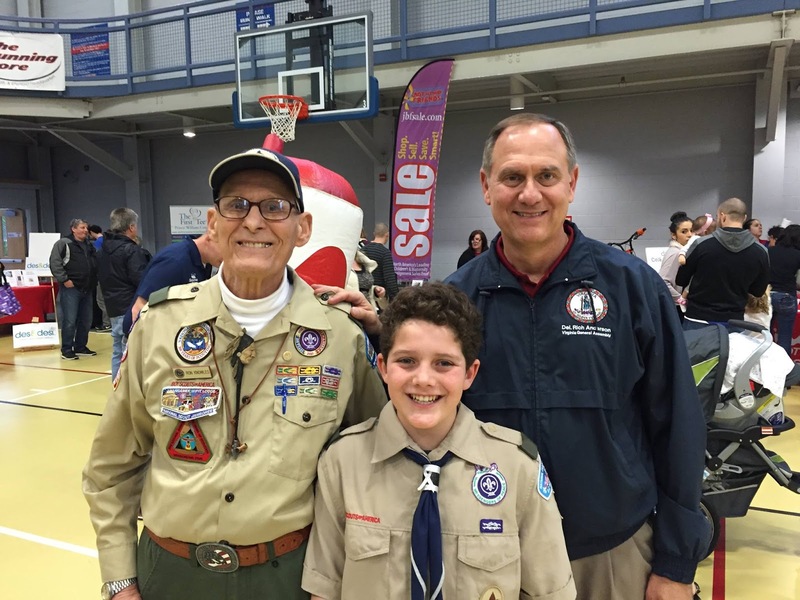 (In case you care, to the left is our good friend Ron Knowles and to the right is our good friend Rich Anderson). Riley is a very confident reader, who likes action, adventure, and mystery books with a definite fantasy bend. He’s an active Boy Scout, volunteer, and writer/reader. Take it away Riley! Hello. My name is Riley Kotlus and I read the Glass Castle by Trisha White Priebe and Jerry B. Jenkins. My mom gave me some specific questions to answer about it. I think that people who enjoy scifi and mystery books would really like this book, too. What’s the general story about? In The Glass Castle, orphans are taken to a castle, but it turns out that in the land they are in, orphans are outlaws. The orphans become slaves to the king, and the book is about the mystery behind how that law against orphans was made and how the children can save themselves from their situation. It’s called The Glass Castle because once one wrong thing happens, the whole situation can shatter. Who’s the main character and how do things turn out for him/her? The hero is Avery, and when she is 13 her father dies (possibly) and she and her brother are separated and Avery ends up in the castle and she’s trying to find her brother and make sure that everything ends up right. I don’t really know if she finds her brother or how her story will really ends from just this book, it’s a series and they don’t have it at my library yet, so my mom needs to order me the next one before I know what happens, which is a little frustrating because it ends on a cliffhanger, so waiting to find out is really hard. I liked the mystery and the way that they incorporated it where there’s not just a bunch of people being slaves for a king but instead there’s a whole society that’s happening behind the scenes. The king doesn’t even realize that the orphans are slaves, he just thinks that the orphans are being rescued, but there is a lot happening that he doesn’t know about. That’s what makes these books interesting- on the surface it seems like everything is happy and fine and clean, but in reality, the more you learn the more twisted reality is. What didn’t you like about this book? If you buy these books for your kids, you should buy them the whole series at once so that they don’t have to live in suspense for weeks like me. It is a horrible thing to do to your children to not buy them the entire series if book 1 ends in a cliffhanger. We don’t like it. Was anything in the book scary or offensive? What age kids do you think could read it? There’s nothing I particularly found offensive or scary in these books. I would say this is a good book for any age, if their parents read it to them, or for kids who are comfortable reading alone. There’s not any real violence in the first book, just a little arguing or fighting, but there’s no battle or death or anything, except people dying of old age or you finding out why someone was an orphan. So maybe if you had a parent that died this book might be a little hard for you to read without being upset, but I don’t really know. Some of the names of the kingdom might be a little hard for younger readers. In conclusion, this was a intriguing mystery with twists and turns around every corner. It would be a great book to read on a nice day on the beach. It took me about half a day to read, but I am a really fast reader. Buy your kids the whole set for summer so they don’t have to wait for the next adventure.